Launched in 2012 in Dubai, UAE by the label’s head designer and founder, Barbaranne Heaton, House Of Moirai has already caused quite the stir with their beautifully crafted bohemian gowns. Having previously only created bespoke wedding dresses for brides, the label – since December 2018 – is forging a glossy new path down the bridal aisle with their bridal collection, Goddess. Designed with the cool, contemporary bride in mind, Goddess is ‘a tribute to the modern day woman, her strength and etheral beauty.’ All of which, as the brand suggests ‘makes her the perfect role model.’ And, BOY will you want to be a House Of Moirai bride, bridal babe. Dive into a collection swimming with ethereal, beautifully curated fabrics, incredible movement and fluidity, botanical-inspired embroidery, breathtakingly fresh silhouettes and an edge that one can only describe as achingly cool. This is a line which is filled with contemporary surprises too. Geometric bead work winds its way among flowing lace motifs, while bare shoulders are draped in a cape so fluid it longs for the aisle. “Each dress in the collection has been designed as a celebration of the amazing females who have walked through House of Moirai’s doors. I have never really followed trends but rather designed by instinct and individuality of each bride-to-be,” says Founder and Head Designer, Barbaranne Heaton about the inspiration behind the new collection. You’ll also be over the moon to know that the brand also offers an exclusive semi-bespoke experience for Goddess the collection too. So, for example, once you have selected your dream House Of Moirai gown, you can add pieces to customize it for that ultimately, aisle-worthy, unique bridal look. 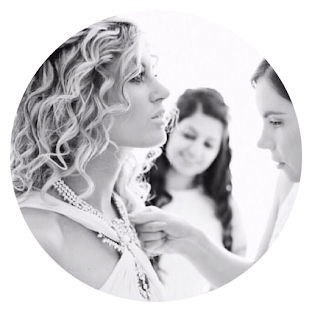 “A House of Morai bride is a free spirit, modern woman who is both soulful and thoughtful and fierce at the same time. She is the woman who steps away from mainstream designs and traditions,” Heaton adds. Fallen in love with a House Of Moirai gown but not based in Dubai? Panic not! You can order your dream HOM wedding dress through the brand directly online! Panic OVER. Just click here to get in touch with the label today. Discover more about House Of Moirai here.